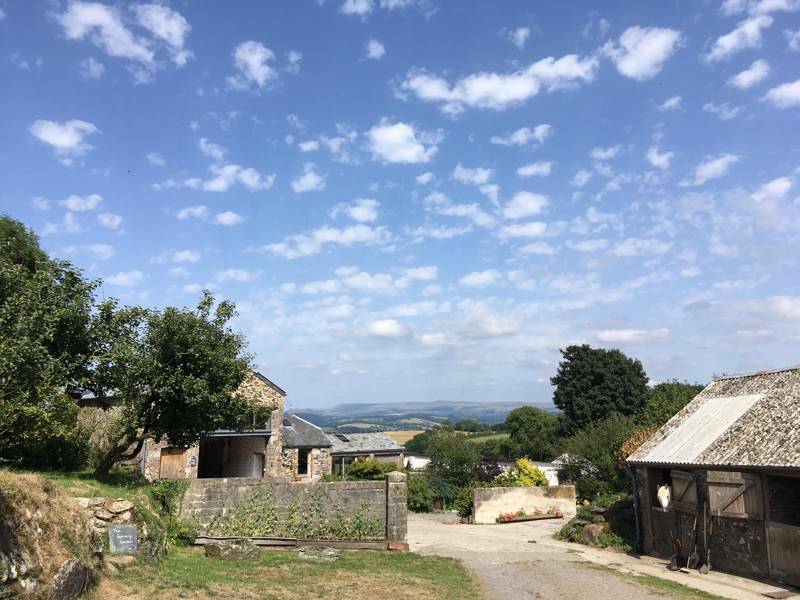 Devon farm B&B that is the perfect romantic escape close to Dartmoor. - First floor barn conversion, with exposed beams and a newly added oak framed sky window enabling you to star gaze at night. - Sumptuous antique French double bed made up with deluxe White Company bed linen. - Use of The Loft next door. Granary B&B is a first-floor barn conversion that can sleep two people in a big bright and airy room in gloriously romantic comfort. It has an antique French double bed and a double-ended rolltop bath. Next door you have access to the vast space of the communal Loft, where there are tables and chairs, wifi, a fridge, kettle and toaster - the perfect romantic escape. One double room barn conversion with a double bed. The whole site – comprising the B&B, two yurts, the Loft, Bath and Shower tent – can accommodate up to 10 adults or 6 adults + 6 children. Rates from £85 a night for two people, including a continental style breakfast (for a small surcharge they serve a delicious Full English, and pancakes on Sundays). Exit the A30 at Lifton and continue through the village, past the Arundell Arms, and over a bridge at the bottom of the hill. Turn right, signposted ‘Chillaton/industrial estate’, and follow this road up the hill for a couple of miles to the crossroads called Borough Cross. Do not turn off but continue for 50m and Borough Farm is on the left-hand side.